Rockford, Illinois in Winnebago County is located in the north central region of the state, just a few miles south of the Wisconsin border. With over 10,000 acres of forest preserves and local parks, residents and visitors have a plethora of available outdoor activities including biking, hiking, rollerblading, boating, swimming, sailing, riding horses, fishing and camping. Its summer and winter activities make it an ideal location for spending time with family and friends in an outdoor environment or walking a dog for exercise. However, in recent years, the quiet community of Rockford has tightened its local ordinances on dog ownership as a way to protect the public from dog bites and attacks. This is because even the town of Rockford is not protected from dangerous dogs. In December 2011, Tonia Parks was killed by her dogs at her Collins Street home. The 39-year-old victim had suffered a seizure while attempting to stop two of her dogs from fighting. The dogs mauled her head and neck and bit deep into her jugular vein. Dog bites are often the most tragic types of injuries because they leave the victim with psychological trauma, permanent scars and intense pain. Children tend to be at greater risk of being a dog bite victim. While dog attack-related fatalities are not commonplace, they do occur, especially when the victim is attacked by a Pit Bull, Rottweiler or Bull Mastiff. Dog attacks and dog bites typically cause serious physical injuries including scarring, lacerations and puncture wounds. In addition to physical trauma, victims often suffer emotional trauma along with extensive medical bills, lost wages and other financial burdens on the family. Because of that, many victims will hire personal injury attorneys to handle a case for recompense against the dog’s owner. 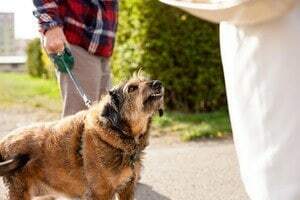 If you, or a loved one, have suffered injuries in a dog attack or dog bite within the Rockford city limits, you have the legal right to pursue financial compensation from every liable source. Every party at fault for the vicious attack can be held legally accountable including the animal’s owner along with the owner of the property. Our skilled dog victim attorneys at Rosenfeld Injury Lawyers LLC use our respected reputation, vast resources and years of experience to successfully resolve your claim for compensation. Call our law offices today at (888) 424-5757 for a free initial, no-obligation consultation to discuss your case.